To start a queue manager, right-click on the queue manager and select Start > Start as Created and select OK. The status of the queue manager should be Running. 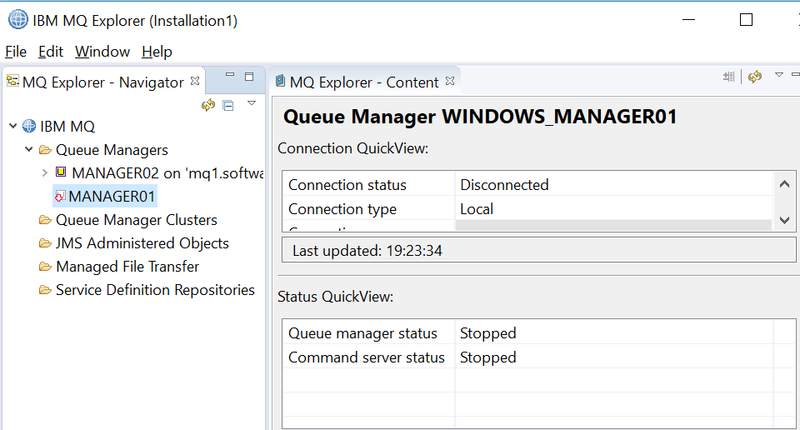 To stop a queue manager, right-click on the queue manager and select Stop > Controlled or Stop > Immediate and select OK. The status of the queue manager should be Stopped. Display the managers that exist on the system. Let's say there is a manager named MANAGER01. In this example, the manager is not running. 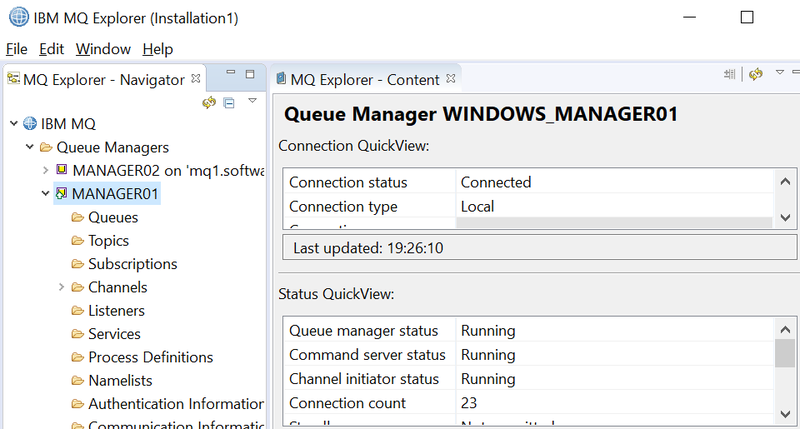 IBM MQ queue manager 'MANAGER01' starting using v9.0.4.0. Display the managers again. Now, MANAGER01 is running.